Nadi are the new winners of the 2018 Vodafone Fiji Gujarati Sports Association tournament. This was after they beat Lami 5-4 on penalty shootouts at Ratu Cakobau Park, Nausori yesterday. Gracious in defeat the Lami Gujarati football at Ratu Cakobau Park, Nausori on September 9, 2018. They upset tournament favourites Suva 1-0 in the semi-final before going down to Nadi 5-4 on penalty kicks in the final. Photo: Karalaini Tavi. Nadi are the new winners of the 2018 Vodafone Fiji Gujarati Sports Association tournament. This was after they beat Lami 5-4 on penalty shootouts at Ratu Cakobau Park, Nausori yesterday. 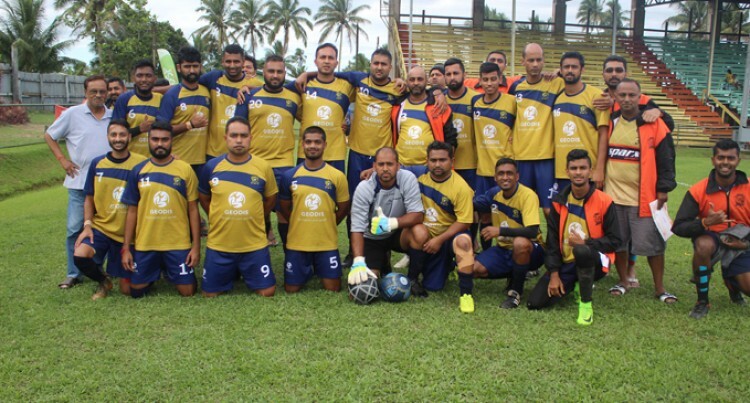 Nadi coach/ player Aditya Raniga said the team had been training for more than seven weeks for the tournament and are happy with to get the win. “We have sacrificed a lot and to get this win is something that is special to us,” Raniga said. Earlier on Nadi edged out defending champions Lautoka 1-0 while Lami ended Suva’s run with a 1-0 win. Tournament organiser Sanjay Patel said next year’s tournament will be held in Nadi.